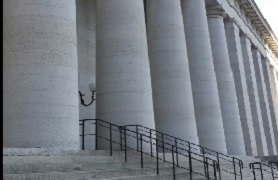 Intent was the focus of the Ohio Supreme Court’s decisions in Breeze v. Testa and 2350 Morse v. Testa. In September, the Court disagreed with both the Ohio Board of Tax Appeals and the Ohio Tax Commissioner regarding their decisions about tax exemptions for real estate. Both agencies had decided real estate leased to several community schools did not met the statutory requirements for a charitable or public use tax exemption. According to the BTA, because there was more income from the property than expenses, this meant the property was rented with the idea of making a profit. However, the Court disagreed, finding the BTA “ignored evidence” of the property owner’s intent and lender’s requirements. This included the property owner adjusting, deferring and sometimes writing off rent owed, depending on the school’s financial situation. Plus the lender required rent to be 15% more than needed to cover the mortgage payments. The Court remanded Breeze to the BTA and instructed the BTA to include intent in its considerations while it overruled BTA in 2350 Morse. Eastman members M. Charles Collins and Graham A. Bluhm represented the appellants in the court cases, but not at the administrative levels. Mr. Collins has more than 20 years’ experience representing civil litigants in a wide variety of areas. Mr. Bluhm concentrates his practice in the areas of transactional law, commercial law, general corporate and business law. Should you have any questions regarding these decisions, please contact either Mr. Collins or Mr. Bluhm.